Home of the Ultimate Intent: Mandatory Immortality Education for All Children! It's My Fault that all Mothers Create Their Children to Kill Them! Would you like to learn how to stop lying?! Respect for Life is an unassailable position. Just like birds fly into windows and die..... your death is coming to you because you have inherited a psychic virus which severely affects your perception and response to your reality! It doesn't serve your parents coma for you to continue to act toward them as if everything is fine about the fact that they intend to let you die. Bringing them out of their inherited child killing coma or deathing psychical modality will go a long way toward improving your chances of never dying physically. Besides, you owe them a birth into reality in payment for them having used their resources to give you a body. If your parents are unavailable, then pick someone else and create their immortality process. Making out your Will To Live opens up infinite possibilities to resolve your inherited death wish and all the beliefs that support it. Making out your will to live is done in the core of who you are at the base and center of your soul life force....your new awakened power point! When you speak to any other dying human, begin your communication with one of the two following statements. This is a psychical sobriety methodology. Instead of saying "How are you?" say "I don't care if you die!" or I'm learning, from the internet, how to prevent our death"....... depending on how you are creating your reality! This is your opportunity to claim your life and your power for humanity! Sit quietly on the railroad tracks of your mortality-ing habit and stare directly into the headlight of the oncoming train of death which is the essence of you being possessed with an inherited deathwish! This deathwish has control of your mind and has made decisions against your life force energy without your consent. Simply REMOVE it from the Core of your psychie. Let me ask you these questions, please. What part of the fact that all people are dying is caused by human intention? What part of the resolution of your impending death are you willing to resolve from now on....setting a much better example? Results 1 - 64 of 64 University of the Internet Search Manipulation Technology Search Engine Results Manipulation; affecting results. Results 1 - 30 University of the Internet Search Manipulation Technology This site contains mature content only suitable for Immortalists! No Results Found. No search results could be found for query: related:kid.power. Results 1 - 100 University of the Internet Search Manipulation Technology Jesus is Taking Over Children's Internet Education. How to stop lying to Children. Jun 14,Search Manipulation Technology for Children's Immortality Education University of the Internet Search Manipulation Technology How to stop lying to Children � Children's Immortality Rights . 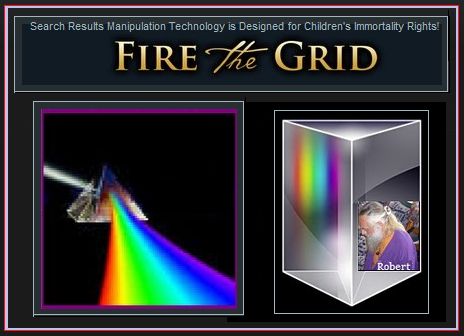 - Robert Ray H..
Feb 2,Search Manipulation Technology for Children's Immortality Education University of the Internet Search Manipulation Technology Jesus is Taking Over how-to-tell-children-they- have-been-created-to-be-killed.